The NHL’s “second season”, the Stanley Cup playoffs, started April 10 with sixteen teams vying for the cup through a grueling journey of four best-of-seven series. 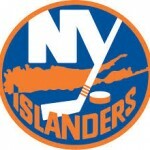 The NY Islanders will play the Pittsburgh Penguins in the first round, while the NY Rangers and NJ Devils will play golf. Other first round match-ups include top seed Tampa Bay Lightning vs. Columbus Blue Jackets, defending champion Washington Capitals vs. Carolina Hurricanes, Boston Bruins vs. Toronto Maple Leafs. The Western Conference match-ups have Nashville Predators vs. Dallas Stars, Winnipeg Jets vs. St. Louis Blues, Calgary Flames vs. Colorado Avalanche, and San Jose Sharks vs. Vegas Golden Knights. The champions will be crowned in June.